When people think of Doctor Who and Bonnie Melody Lysette Langford, what do they think of? Well, most Doctor Who fans tend to do their best to ignore that. Why? 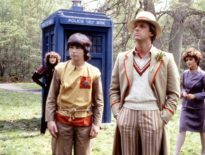 Why do people slag off the Bonnie Langford era of the series? I’ve always wondered that. So I decided to throw down a few words about it. A few bits of background first. I’m in the United States, and in the mid ’80s, I was living in Philadelphia. We got a lot of conventions there. This was in the prime era when John Nathan-Turner would come over to the US for some convention somewhere, seemingly every weekend. 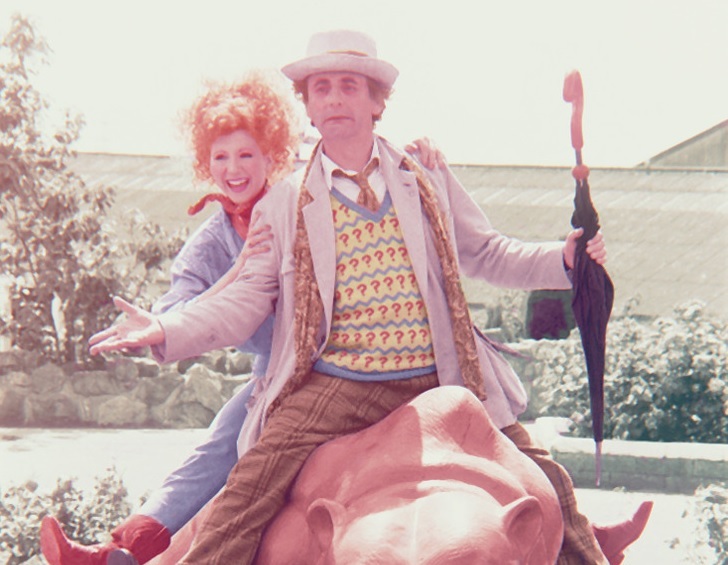 So it was no surprise, when Bonnie Langford was cast as the next companion in Doctor Who after Nicola Bryant, that JNT brought her over for a convention in Philadelphia. If memory serves, this was before she had filmed ANYTHING on the show. The same kind of thing happened not long after this when they cast Sylvester McCoy to replace Colin Baker. Anyway, I have several British friends who dislike Ms. Langford, and the general reason I got from them was they didn’t like her as a child actress/singer. I can’t really speak to that, because I didn’t grow up with that. Over here in the States, the majority of Doctor Who actors were unknown to us. Or at least to me. I didn’t know Tom Baker or Mark Strickson, or David Tennant, Jackie Lane, or Bonnie Langford before they did Doctor Who. So Bonnie was just a long line of British actors that I’d never heard of before. When she came out on stage for that first convention, I didn’t think anything of it. Cute redhead and seems pretty bubbly. Given the way the ’80s were at the time, it seemed a perfect fit. 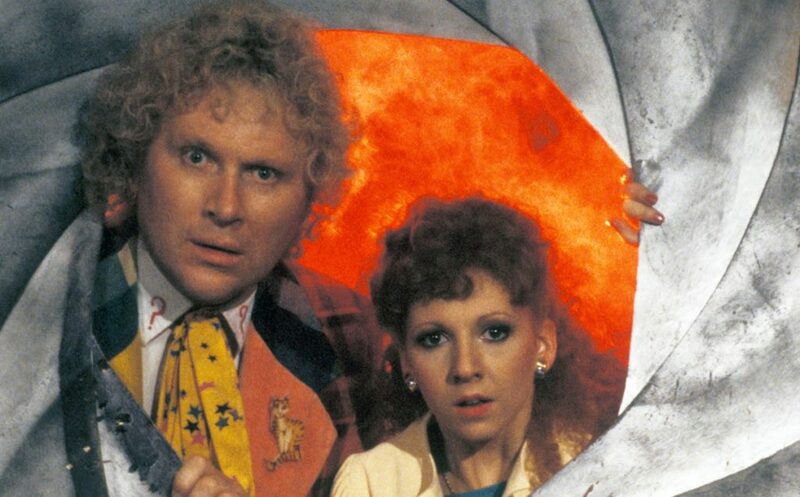 If anything, Doctor Who has always been a product of the time it was made in, and Bonnie Langford fit the ’80s to me. Another thing people gave her rubbish for was her screaming. She screamed a lot. If memory serves, she has a pretty good scream in every story she’s been in – if not more than one. Vervoids? Screamed at the cliffhanger for Episode 1. Time and the Rani? Screams (A LOT) in the flying bubble. Paradise Towers – screams when caught by Tilda and Tabby. Delta and the Bannerman – screamed when the baby Chimeron hatched. Dragonfire? Screamed when she and Ace were attacked by Glitz’ zombie crew (and when she saw the “dragon”). Okay, she didn’t scream in Ultimate Foe, but that’s a high percentage. But is that a bad thing? 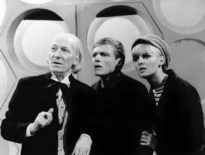 The classic Doctor Who companions of years gone by were known as screamers. Heck, in the old 1960s serial, Fury From the Deep, Victoria’s screaming was the sole reason the main enemy was defeated! I never had a problem with the screaming. If you put Bonnie Langford’s Mel in with the Second Doctor, I doubt it would seem all that out of place. Having said that, it did seem weird to see Mel with Jon Pertwee’s Doctor in Dimensions in Time. Now, her character wasn’t terribly deep. I can’t think of a ton of things that would define her character. She liked pools, and seemed to be able to get under Glitz’s skin without making him angry. Can’t think of a whole lot more, to be honest. She was, according to the original JNT remit, supposed to be a computer programmer. That never turned up in the show except for one time in Time and the Rani when the Doctor says, “Mel, you’re the computer expert, how about it?” That was IT! Mel’s character was pretty much the stereotypical ’60s female Doctor Who companion. She was there to look good, to scream, and to need rescuing. I don’t see that as a problem; I see it as “Classic Who”. Times have changed in 2019, and things are different, but we’re talking about 1986 here. You have to view things in their proper context. Some of the novels and Big Finish stories helped change all this by giving her a little more depth, but I’m dealing with only the television shows as aired. They also gave Mel and Sixie their “proper” story introduction as oppose to the “backwards introduction” we got in Terror of the Vervoids. 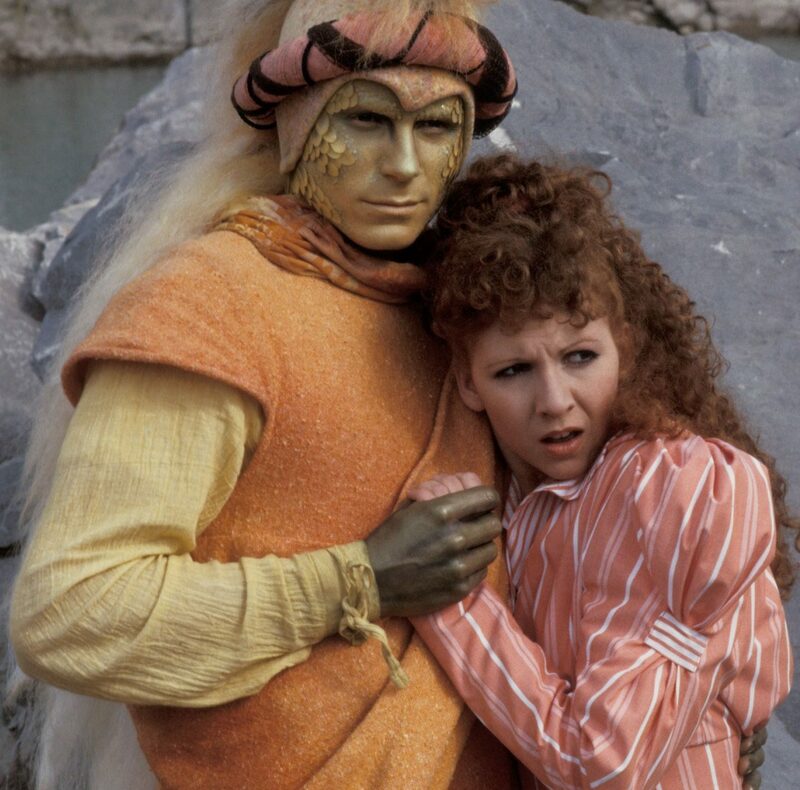 The odd thing about Bonnie Langford for me is that I always had a crush on her. What’s really weird about that is she’s not my type. The type of woman I always went out for was basically not her. But for some reason she “worked” for me. My British friends would mock me mercilessly for liking her. I’d try and avoid it, but eventually after a few decades of grief, I just stopped trying to hide it. If you go to Wikipedia and look up Bonnie Langford, the photo for her was taken by me (posted under my nickname of Dopefish). Bonnie’s Dapol figure was one of only three that I had from the ’80s that survives to this day (the other two being the Fourth Doctor and Bessie). I liked Bonnie Langford in Doctor Who. She may not have been the deepest character and she had an exit worthy of Leela’s (I’m in love and leaving you), but I enjoyed her time on Doctor Who. I’m not claiming she’s going to be the next Sarah Jane Smith or anything, but she doesn’t deserve the reputation she has. Hell, I’d love to see her back in new Who, but I know it will never happen. Now that I’ve written all this, I’m off to watch Delta and the Bannermen. It’s a light story for sure, but I had lot of of fun, and of course, it’s got Bonnie in it!